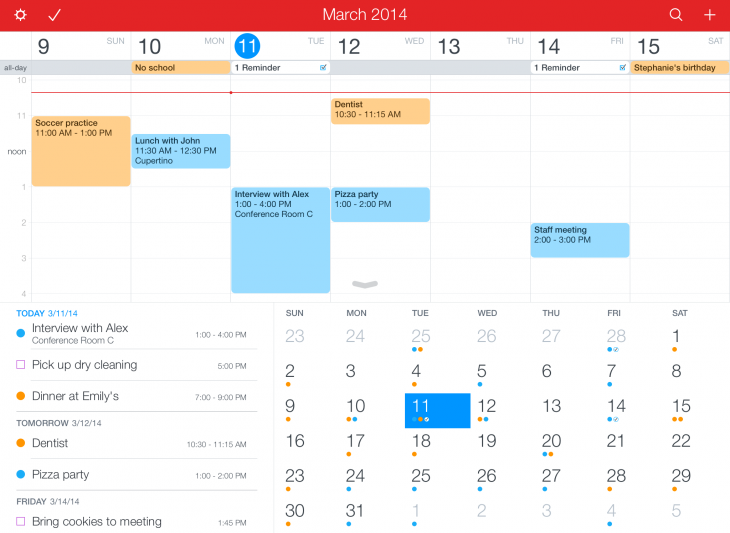 Fantastical has bumped up its iPhone and iPad calendar apps to version 2.2, adding a Today widget, interactive notifications and the ability to quickly create new entries via its app extension. All of these features are tied to iOS 8 and therefore, unsurprisingly, the app now requires the latest version of Apple’s mobile OS to run. The Today widget is arguably the most notable addition, providing a simple list of your appointments and reminders, as well as a grid overview of the current month. 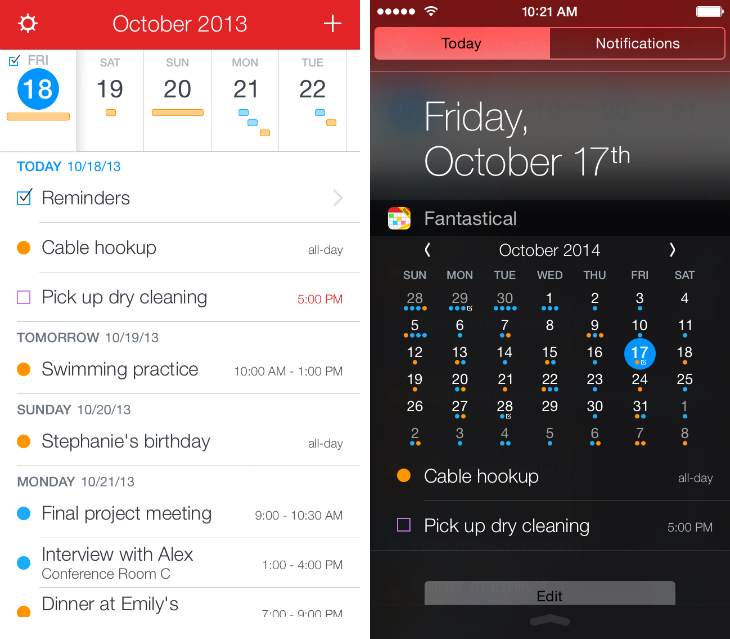 Interactive notifications mean you can quickly dismiss calendar alerts and signal that you’ve “completed” reminders without jumping into the Fantastical app. The new extension, meanwhile, means you can copy a selection of text from another app – for instance, your preferred email app – and quickly have Fantastical create a new entry using its conversational language recognition. Finally, both apps are now optimized for the iPhone 6 and iPhone 6 Plus’ larger displays, with a new landscape mode bundled in for the latter.